Mobile gaming has become a staple for the masses in Africa as well as around the world. With the ownership of smartphones being at an all-time high, the mobile gaming industry has seen a rise in users over the past few years. The gaming culture in Africa is thriving and no longer restrained to the typical demographic groups either— while at one point, teenagers were the core of the user base, nowadays, everyone from the old to the young is on their phones, gaming. Below, Hiruy Amanuel, co-founder of Gebeya Inc., shares his insight on the rise of the mobile gaming industry in Africa. 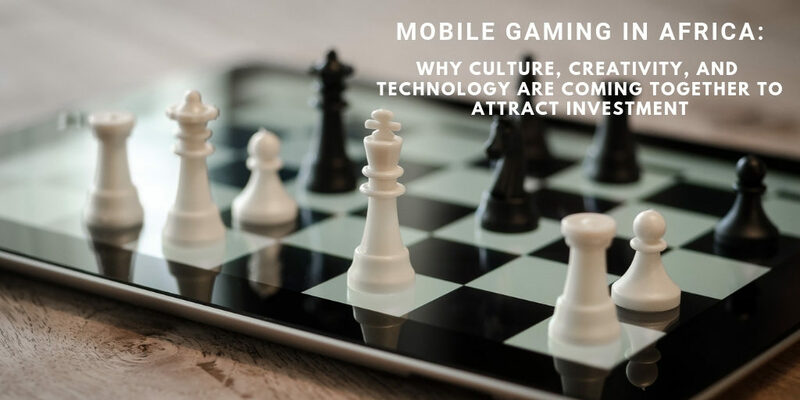 The growth of mobile gaming in Africa demonstrates its overwhelming potential to carve out a space for itself in the tech sector. PricewaterhouseCoopers conducted a survey in 2014 that showed that the Nigerian gaming market was worth about $71 million dollars and the South African market was worth close to $217 million dollars. Those numbers have grown considerably since then, and developers and users alike are gaining great interest in the mobile gaming industry. Startups in Africa have released several games that speak to the local audience and reflect the local culture within the games themselves. In Ethiopia, Qene Technologies released Kukulu as the first 3D mobile game from the country and it has since taken the country by storm. Dawit Abraham, CEO Co-founder of the gaming studio commented “We have discovered that there is a large demand for our content in Africa. With more than 90% of our users coming from the continent, our game is performing very well when benchmarked across global gaming industry trends.” Likewise, in Cameroon, Kiro’o Games has released Aurion: Legacy of the Kori-Odan that has been acclaimed for instilling African themes within the game. With more than 700 million subscribers to mobile internet, the user base of mobile gaming is substantial in Africa. The key to making sure there is an uptrend in local gaming development is to encourage local young developers to become storytellers within the games they are developing. With the rich cultural history embedded in all African countries and the stories that have been passed down from generations, there is untapped opportunity for game development. Although the growth of the mobile gaming industry within Africa is unquestionable, the financial returns are still small. Monetizing games has become a challenge that is actively being worked on as the Play and App stores, which offer the games, are becoming more viable for both selling games as well as charging patrons within the games for “boosts” or other score-increasing advantages. The mobile gaming industry in Africa has captured the hearts and minds of Africans as well as their undivided cellular attention. With a young population and an abundance of smartphone usage, Africa’s mobile gaming future is on an upward trend and shows promise for developers and users alike. Hiruy Amanuel is a successful angel investor who builds bridges for IT communities in Africa to use to connect themselves to the rest of the world. Through his entrepreneurial ventures in the African IT sector, he has co-founded Gebeya Inc, Gebeya Media, and Kukulugame, all of which are companies that encourage, develop, and mobilize the local IT workforce. With the objective to create more economic opportunities for African engineers and developers, Mr. Amanuel consistently seeks out new and emerging technologies on the continent to attract more investment into Africa. Hiruy Amanuel is passionate about helping Africans achieve their dreams in the rapidly growing technology sector. He is an investor who is committed to empowering individuals to pursue their dreams, and in doing so; he also opens up the global marketplace to the vast array of untapped African talent. While most of the talent on the continent is exported abroad when recognized, Hiruy’s mission is to invest in African businesses and entrepreneurs on the continent with a focus on developing the capacity for economic growth.